Samantha Travers and Max Mallen-Cooper looking for endangered fungi at Lane Cove. 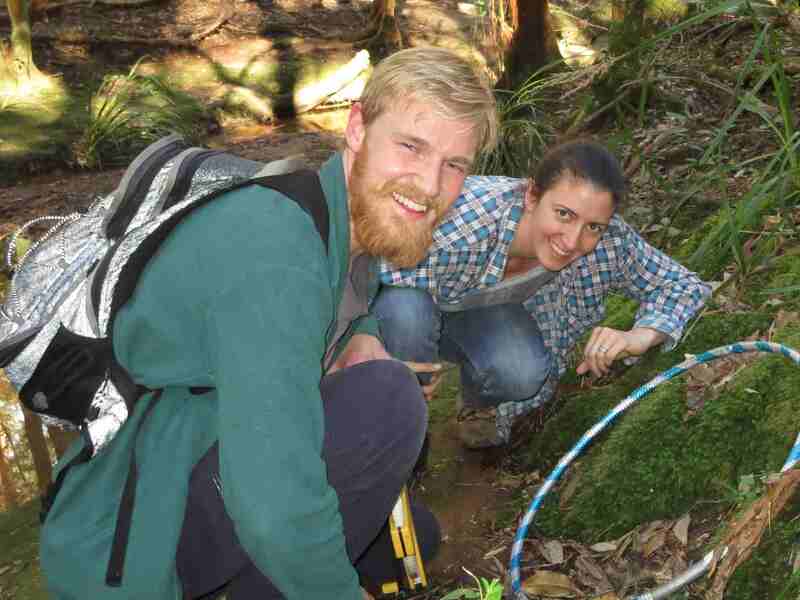 This research is part of a study to map the habitat for endangered Hydrocybe fungi. The work is supported by Lane Cove Council and the National Parks and Wildlife Service through the Saving our Species Program. « An eye on the lichens…..